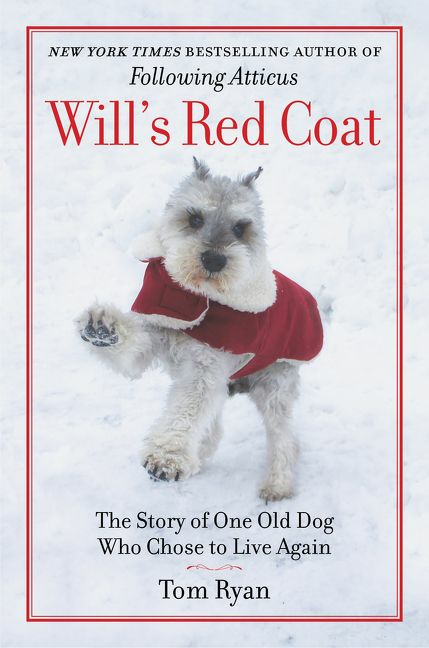 This Tuesday’s Tale is about a book called “Will’s Red Coat.” It is a true story about a senior dog that was given up and needed a home desperately. Tom Ryan, the author of “Will’s Red Coat” kept watch on social media what was happening with Will until one day he decided he was going to give him the home he needed. He knew he was going to get a senior dog, but he never expected what he saw when he arrived to meet Will. He was thin, frail, almost blind, deaf, and scared of everything. Out of that fear he continually tried to bite Tom. Tom drove quite a ways to get Will and on the ride back as he looked at Will, he questioned whether he was doing the right thing, mainly out of concern for Will. He wondered if it would be better if he was put out of his misery. Tom told himself on that drive back that if he made it to the beaver pond at the foot of Mount Moosilauke that there would be no turning back. He would care for Will all of the days of his life. There were many challenges trying to learn how to deal with Will’s health issues along with his constant fits of rage whenever Tom came near him. 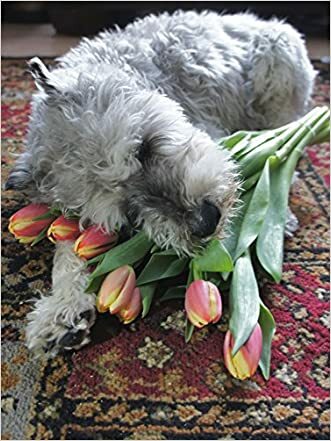 While observing and learning about Will, Tom discovered that he really loved the smell of flowers. This may be because he was deaf and almost blind, so smells were a comfort for him. So Tom and people all around the world made sure he had flowers all of the time. Tom Ryan wrote the book about his life with Will. But what I also pick up on loud and clear is the great person Tom is. His care, love, and dedication to Will is remarkable. He truly represents how animals are not disposable. I don’t want to give away too much about the book. I highly recommend reading it! Image taken from HarperCollinsPublishers. Click the link to find out where to purchase this book. I‘ve cried many times throughout the book, but mostly it is because of the love and dedication Tom has for Will. Also the transformation of what Will looked like when Tom first got him to how he looked after being with Tom for a while is truly amazing. People like Tom are rare, but they are out there. Colin Chappell is another one of them. I have written posts about Colin and the dog he adopted named Ray. He has a book out called “Who’s Up for Adoption” which is about the challenges they faced with Ray and still face to this day. Below is a quote from a review left on Amazon regarding Colin’s book. What a wonderful story about a man and a dog ‘finding’ each other and, yes, rescuing each other in different ways. Being a dog lover myself, I immediately melted into this book of a man who was once afraid of dogs, yet agreed to rescue a dog who’d been neglected and probably mistreated before taken to an adoption center. This story of how a man and dog learn to read each other’s signals, to understand each other, and then love each other, is heart-warming and sincere. You can read Colin’s post about this on his blog: meandray. It is very comforting knowing there are people like Tom and Colin making such a difference in the life of an animal that really needs them. It only takes one special person to save one special animal! This entry was posted in Animals, Humane Societies, pets and tagged #animalsarenotdisposable, animal books, animals, Dogs, pet adoption, pets, senior dogs, Will's Red Coat on July 12, 2017 by Animals Are Feeling Beings Too. I love happy outcomes like this! Wow! Must look out for these books! I know what you mean!! I feel totally detached from the real world when I’m consumed by school. I will definitely be getting this book.